A surprisingly touching, respectful, and accurate fictional portrayal of the coming out of a transgender woman in England in the early 1970’s. This film avoids nearly all of the “transploitation” themes of most works up to the 2000’s and is a “must see” for anyone interested in a transgender “coming out” story from 44 years ago. Note: for the purpose of clarity in the review, male pronouns are used for the transgender character until she presents on screen as female. 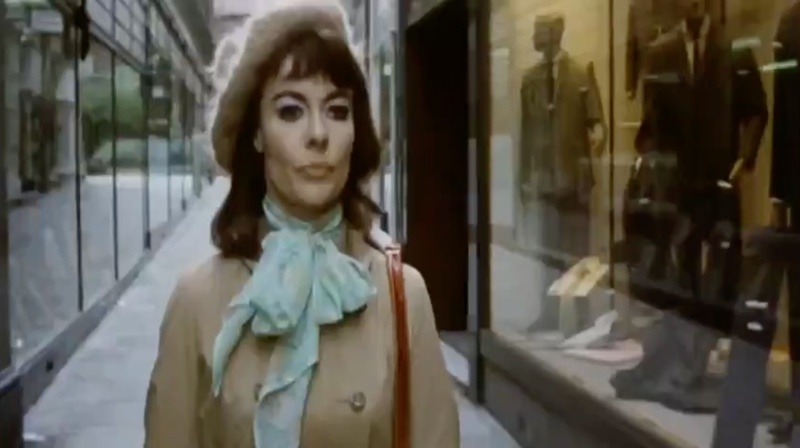 This film, based on a 1966 novel by Geoff Brown, is the portrayal of the coming out of a transgender woman named Wendy in England, focusing on her relationship with her family and her process of learning on her own how to live as a woman. The film begins with our protagonist, who is initially named Roy and presenting as a male, watching women on the street outside the estate agent’s office [US: realtor’s] where he works. 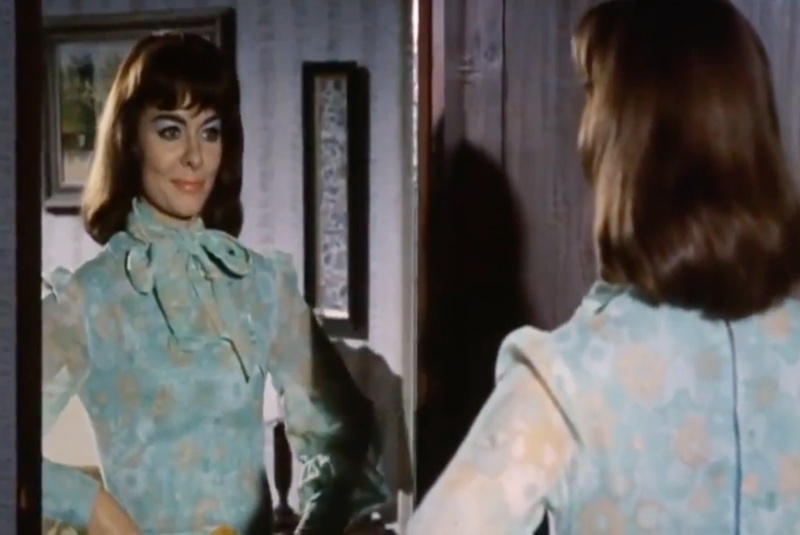 Roy, played by Anne Heywood, presents are a very feminine-looking person when dressed male, which is one of the few criticisms I have of the film – a cisgender woman was cast as the part of Roy/Wendy, which we must remember is a product of the time the film was made (and of course, as of this writing it’s still a problem we live with, as cisgender people keep trying to speak in place of us to grab the public relations limelight). Roy comes from an upper-middle class background, and although he is an adult he still lives at home with his father, a stern ex-military disciplinarian who is known as “the Major.” Roy’s mother, who never appears in the film, is strongly implied to have died from a long illness several years prior. Roy’s room is decorated with a subtle feminine style, with photos of female icons on his desk. Roy’s problems with his gender identity are shown to us by his focus on other women and their clothes, at one point looking at his sister’s clothes after he is left alone in her house to babysit his niece. A bit of Roy’s relationship with his father is shown as well, and although the father is gruff, he seems to care about Roy a little bit (almost grudgingly, perhaps). Roy gets along much better with women than with men, and at a party (accompanied by his father and his father’s date), gabs quite happily with other ladies about fashion. Roy furtively engages in crossdressing later that night, and is accidentally discovered by her father. Roy’s father is furious, striking Roy several times and cursing at her repeatedly. He demands that Roy explain their actions, calling them a homosexual and going on a tirade about how wonderful being a man is, and why would anyone even want to be a woman. 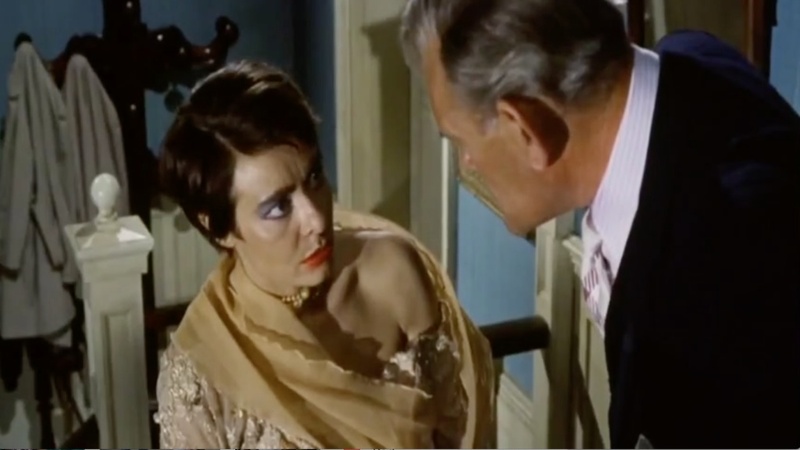 Roy’s father hits her some more, and says “the Germans used to send people like you to the gas chambers,” to which Roy answers “and decorate people like you.” Roy shows great courage during this scene, finally escaping when her father threatens her by calmly saying “you can kill me, but you won’t change me.” A clip from the film with this scene is shown below. Quicktime movie clip: confrontation with father. Quicktime movie clip: the mirror. Wendy then leaves the apartment to go out in public for the first time, and the director very nicely captured the uncertainty, and even terror, of a first “stepping out” experience. As Wendy walks through the crowd everyone’s eyes are upon her, everyone notices her, and she is clearly terrified. Yet because she does “pass” perfectly, we also know that the director is showing us what is going through Wendy’s mind, rather than reality. At least that’s my interpretation of the scene. Quicktime movie clip: first public outing. Wendy takes up residence in another boarding house, sharing this one with an authoritative owner and her henpecked husband, a friendly art student she shares a bathroom with, and Frank, a somewhat skeevy and aggressive athletic coach at a local school. Over several months Wendy adjusts to full-time life as a woman, coming out of her shell and making friends, learning more about comportment and dress, and even perfects her makeup. Wendy tries to get a job, but discovers her lack of documentation and the fact she’ll have to out herself prevent her from finding work. She returns to visit her sister, who does not accept her, and scolds Wendy on her life and appearance. Wendy shows great courage when her sister says “you look terrible!” and Wendy replies, flatly, “no, I don’t.” The meeting ends with her sister threatening to keep her from ever seeing her own niece again, and this is the last we see of the sister in the film. Quicktime movie clip: meeting her sister. The film is surprising in its sensitivity, avoidance of common tropes, and realism – especially for a film released in 1972. It covers the themes of family rejection, inability to find work, ostracism and loneliness, uncaring medical practitioners, and even sexual assault. I was able to connect with both Roy and Wendy as characters, and several scenes could have been lifted directly from my transition. The primary downside of the program is the fact that actress Anne Heywood, a cisgender woman, is never completely convincing as the character of Roy, and thus looks all too flawless as the character of Wendy. Some may focus on Ray’s (and later Wendy’s) obsession with clothes, especially an early scene where Wendy is transfixed trying on nylon stockings for the first time, and feeling their texture. What is often forgotten, however, is that for many transgender women the experience of softer female clothes is both strange and gender-confirming. Often, what some will stampede to call “fixation” or a “femme fantasy” regarding clothes has nothing whatsoever to do with fetishism. Some parts of the story are left unresolved – there is no closure with the family, and at the end we are left not knowing anything about Wendy’s future – other than that she’s happy after her transition and new life.